Hi! We are Sophie, Anna and Kees. After having organized This happened for many years here in Rotterdam, Pieter Diepenmaat and Adriaan Wormgoor have decided it’s time for a change. With pleasure we are taking on the challenge to take over. All of us have a background in Industrial and Interaction design from Delft University of Technology, which is also where we’ve met. Sophie is a service designer at Muzus, she mostly works on design research for the social domain. Think of services for homeless people, opportunities for children in poverty or transport for physically challenged travellers. She likes hunting for hidden gems at the flea market, what you can do best in Brabant where she grew up. Anna is working as a service and UX designer at wearereasonablepeople, a software and design agency. She gives workshops, does research and designs software and services in healthcare, smart city and logistics for clients such as Philips, Port of Rotterdam and Innovative startups. Anna likes to bring people together and organize events and, apart from this happened she is organizing living room concerts, likes live music and special beers. She also likes to make clothing and jewellery. 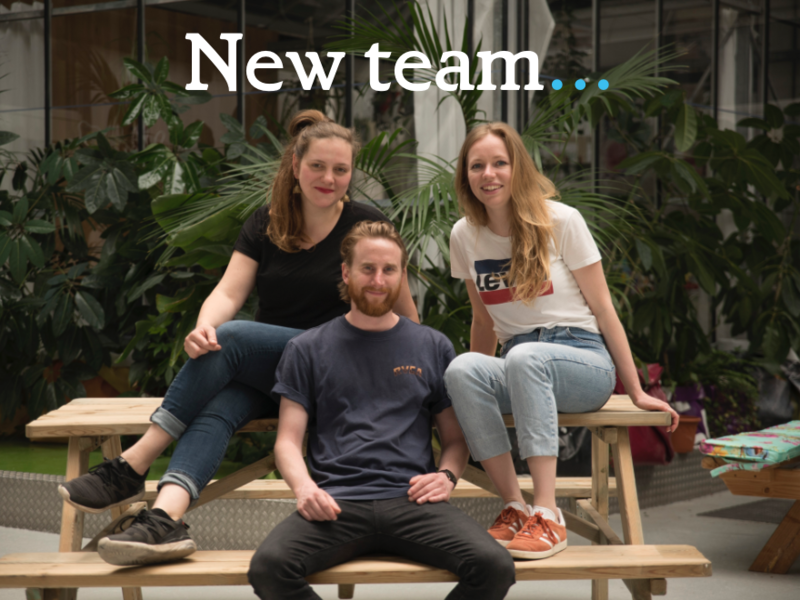 Kees has a background in product design and is now diving into software development, working as a trainee at KPN new ventures, in order to become more expert in connecting design and digital technologies. He likes to tinker and play with electronics and software and when he’s not behind his computer or soldering iron he enjoys going to the beach for a surf or meeting friends for a drink in the park. For this happened we plan to continue bringing you the quality of talks that you are used to. We are dedicated to find interesting speakers from different backgrounds and invite you to explore with us the wide range of topics that the field of interaction design has to offer! We are looking forward to have amazing This happened editions with all of you and hope to see you in the audience on Tuesday the 5th of June from 20:00 at WORM!